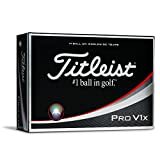 What golf balls do professional golfers use? 2019 Update! Ever wondered what the pros are hitting on the tour every week? Well, wonder no more as we’ve hunted down most of the worlds top 20 golfers to find out what golf ball is in their bags. Men’s top 20 golfers – What balls are they hitting! Taylor made allow their professional golfers to select their ball number and colors. Dustin is currently hitting the ball no 1 in reference to him being number 1 in the world and because he “always wants to one putt”. He previously played with 32 and had the 1 changed to green after winning the Masters. Other players hitting this ball include Rory McIlroy, Jason Day and world no 2 John Rahm. These balls are a truly excellent ball that’s packed with years of experience an technology from Taylor made. They have an ultra-thin 5 layer outer -this means extra spin when needed and a higher launch when hit correctly. 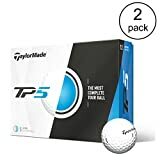 When compared to the standard Taylor made TP5 these balls will go higher, longer and with more spin, so you can see what improvements you’re getting for your money. Online reviews from amateur golfers are raving about these balls with some reporting that they’re hitting further than ever and would never go back to another ball. (See recent review here). Available from Amazon to ship to the USA and the rest of the world you too can be hitting these balls next time you play. Just like the world number 1 John Rahm also chooses to hit the TP5x. Titleist golf ambassador Jordan Speith is the only player in the top 3 not hitting the Taylor made. His choice of golf ball is the top of the range titleist Pro V1x. These balls come with some snazzy tech like “spherically-tiled 328 tetrahedral dimple design “. Which basically means it has 328 dimples all perfectly positioned from the center (we’ve not counted to check!). The range actually comes as a choice of 2 balls with very similar technology, just the x is slightly softer for more distance but the standard Pro V has a lower flight and less iron spin – designed for different types of golfer. Speith is also one of many golfers who uses the Vokey range of wedges – along with 3 of the 4 major winners in 2018! As an 18 handicapper, I’d personally hit the Pro V rather than the Vx as I don’t need the extra iron spin. If you want to be hitting balls like a professional then both the V and the Vx would meet your standards. Same ball as Jordan Speith above, here he is hitting one at the open! Justin Rose’s bag has a Taylor Made ball, just not the TP5x like the other Taylor Made golfers. He’s actually chosen to hit the lesser version TP5, which is a valuable lesson for golfers everywhere – find a ball that suits your game rather than changing as soon as the next “latest distance technology” ball comes out. This will help you learn more about your game and hopefully improve your all round play. As mentioned above Taylor made allow their golfers to pick the number of the ball and the color it’s printed as a custom option. Rose hits 99 as 9 is his wife’s lucky number and he thought it would bring double the luck. He has also played with a gold 99 after winning golf in the London Olympics but we can’t confirm if it’s still gold on it now or not – it is still 99. The Srixon Z-Star XV comes with a strong ball flight and excellent short game control and is the golf ball of choice for Hideki Matsuyama. There’s a choice in the range of the Z star and the Z-Star XV. Here’s an excellent video on how the ball is made and what performance it offers. Hideki is not the only golfer on tour to hit the Srixon with a few others following him. It’s not quite as popular as the Titleist but is still a top quality ball. 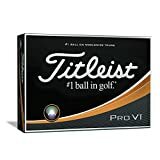 Ricky Flower is a Titleist golfer but unlike Jordan Speith and Justin Thomas he chooses to hit the Titleist Pro V1 and not the V1x. This is again an example of a player choosing the right ball for their game rather than just the latest ball. I do also think there’s some phycology in the decision that once you are happy with how you are hitting a ball then why change it. Another golfer hitting the TP5x in the worlds top 10! See world no 1 Dustin Johnson for our thoughts on this ball. No 9 – Brooks Koepka Titleist Pro V1x. Also hit by Jordan Speith and Justin Thomas, Brooks is one of 3 golfers in the top 10 hitting the Titleist Pro V1x. He likes to keep his golf simple and just marks his ball with a red dot as shown below. “We looked up the meaning of numbers and the number 22 means powerful and high risk, high reward, and that’s sort of everything I am on the golf course so I thought that was appropriate,” McIlroy said. Previously known as a Nike athlete Tiger has a range of different manufacturers in his bag now including his specialized TGR irons and a Titleist putter. The ball he now chooses to hit is the Bridgestone Tour B XS ball. This ball has a Gradational core which allows the ball more distance in the flight which really suits his game. The distance the ball travels is also enhanced by the dual dimple technology. This really is the ball for the big hitter. This is a ball for the golfer who likes to attack the course with long drives and distance wedges. It’s less of a ball for around the greens as mentioned suits a certain type of golfer – which is exactly the golfer Woods is. Leftie is a Callaway golfer and has been for a long time and is one of few on the tour to hit the Callaway balls. His choice is the Chrome Soft X with is a ball that offers excellent levels of control around the course. This ball has a dual soft core made from graphene which offers excellent levels of spin but while still maintaining the distance of a top pros ball. It’s really interesting to see what balls they are hitting. I’m going to get some TPx5s and see if it improves my game. It’s great golf blog you have! Hi BestClaudio, thank you for your kind words about our blog. It’s not accurate to refer to the TP5 as the “lesser version” as compared to the TP5x. The TP5 and TP5x have the same list price but slightly different characteristics. More pros may prefer the x, but most people don’t have pro swings. The TP5x is no more advanced than the TP5. I switched from the ProV1x to the TP5x last year and almost instantly notice more distance and less side spin which meant I was longer and straighter. The short game feel wasn’t a huge difference tho again I was getting more distance on my shorter shots too. I am a 9.6 handicap and typically shoot between 78-85 (my short game is a nightmare but putt fairly well otherwise I would be lower) and only play 4-5 times a month. GREAT BALL!!! That’s great to hear, thank you for your feedback on the balls. I hope this will help other golfers who read our blog.